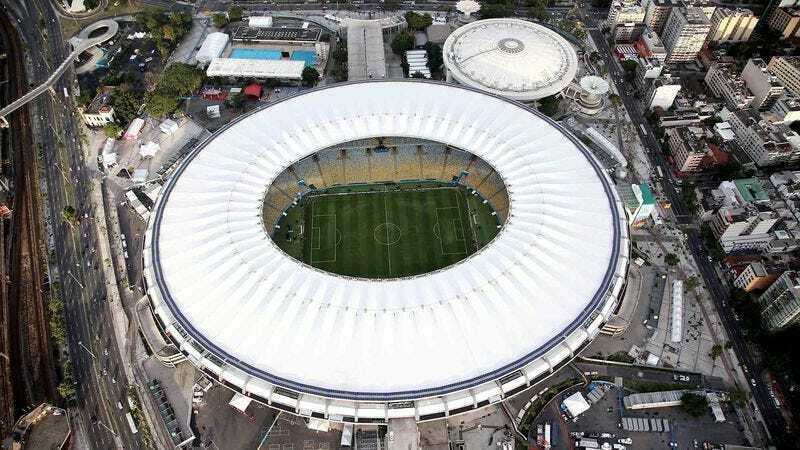 SAN FRANCISCO—Listing the athletic facilities within two hours of the conclusion of the World Cup final, the Brazilian government has reportedly posted 12 separate advertisements for soccer stadiums on Craigslist, sources confirmed Wednesday. “This is a great, gently used stadium that seats almost 40,000,” read the post for Arena das Dunas, which featured three grainy photos of the locker room, pitch, and a concession stand, adding that prospective buyers could view the sporting arena, or any of its other 11 for-sale structures, in person by simply touring the unlocked facility on their own. “This is perfect for soccer matches, conventions, and college graduations, and would go great with any of the northeast stadiums that are also available. All buyers must be willing to remove from site on their own. Serious inquiries only, please.” At press time, the ad had reportedly been updated to state that Brazil would only be willing to sell the stadiums in one-to-one trades for schools and hospitals.